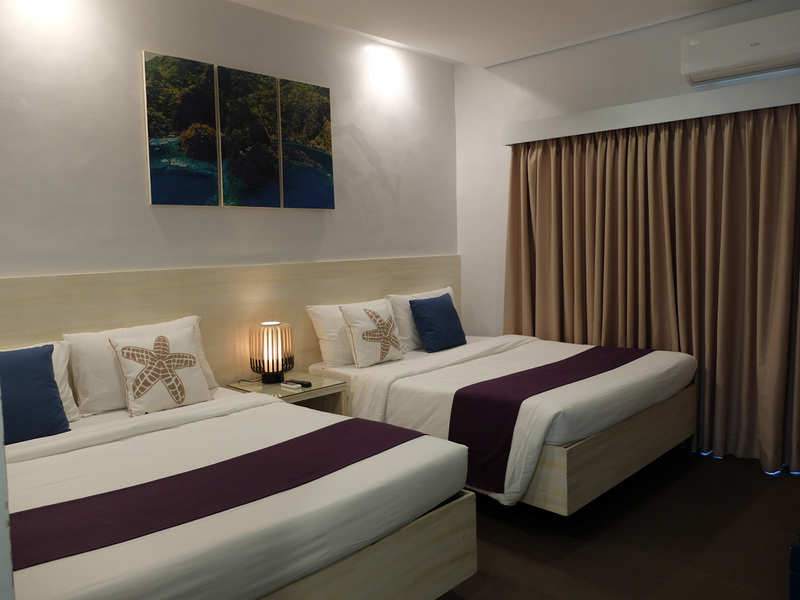 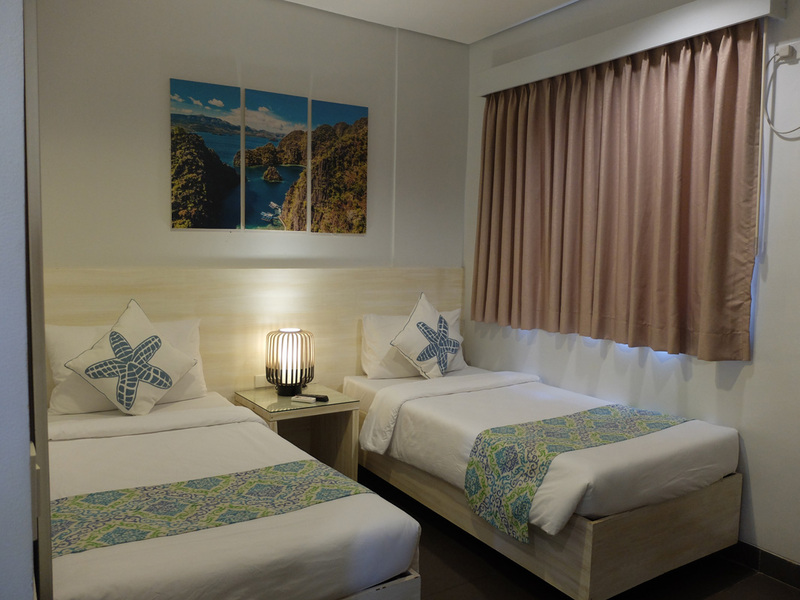 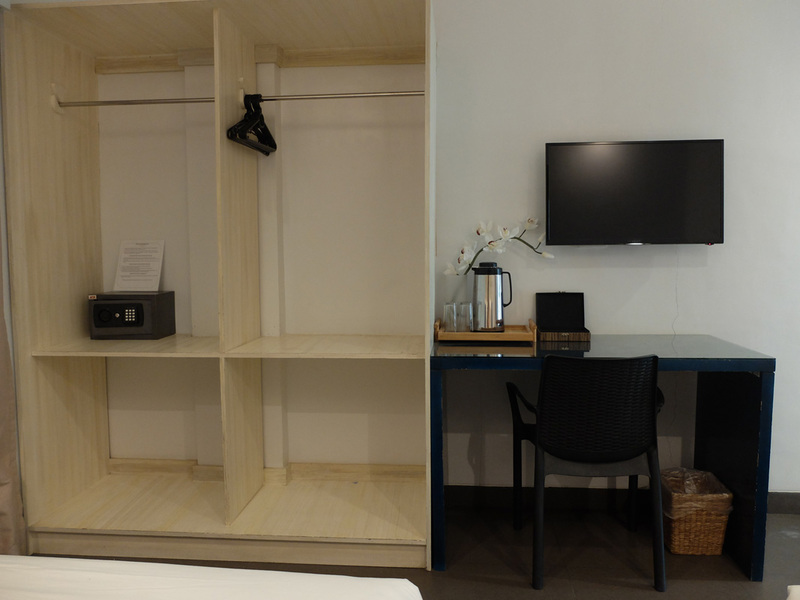 Double Standard Room with 2 single beds for a maximum 2 pax. 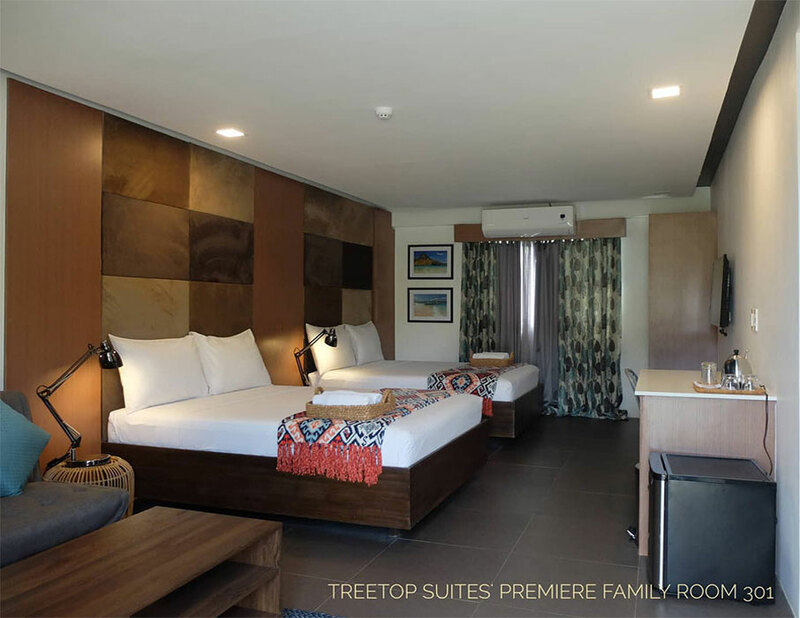 Family with 2 queen beds for 4 pax. 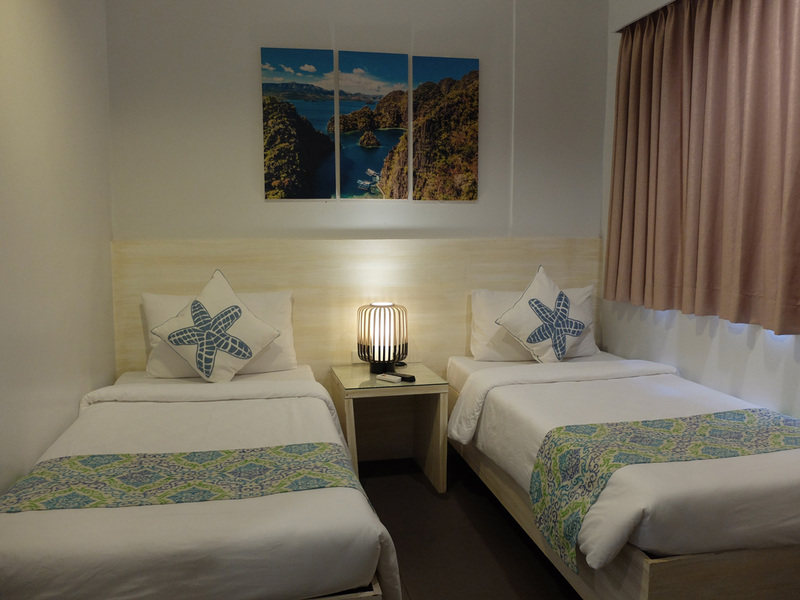 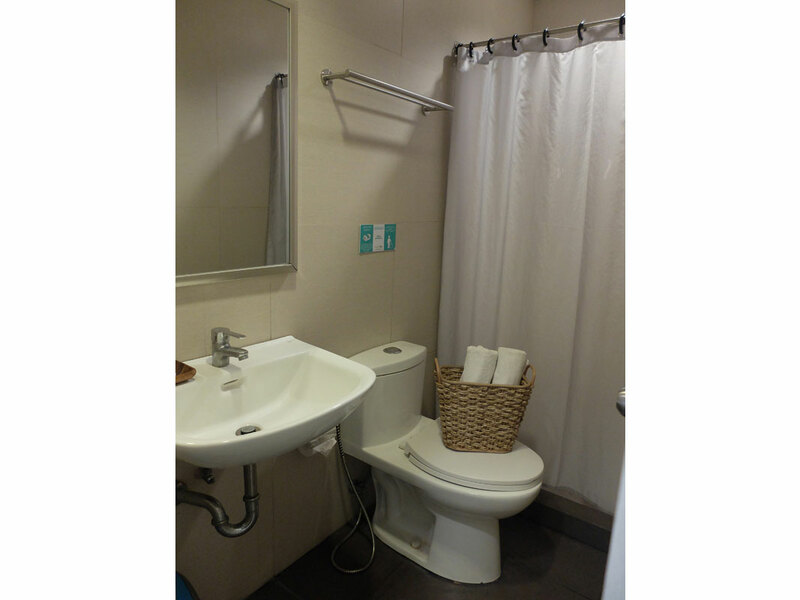 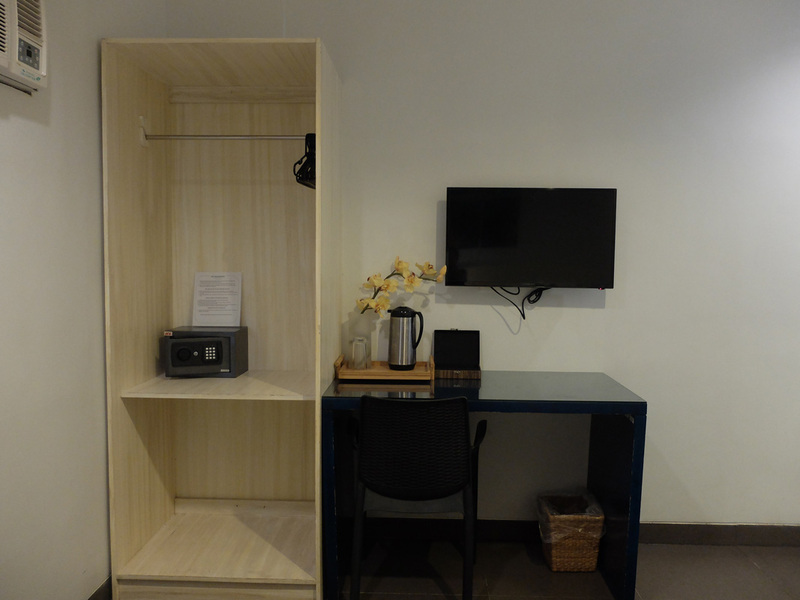 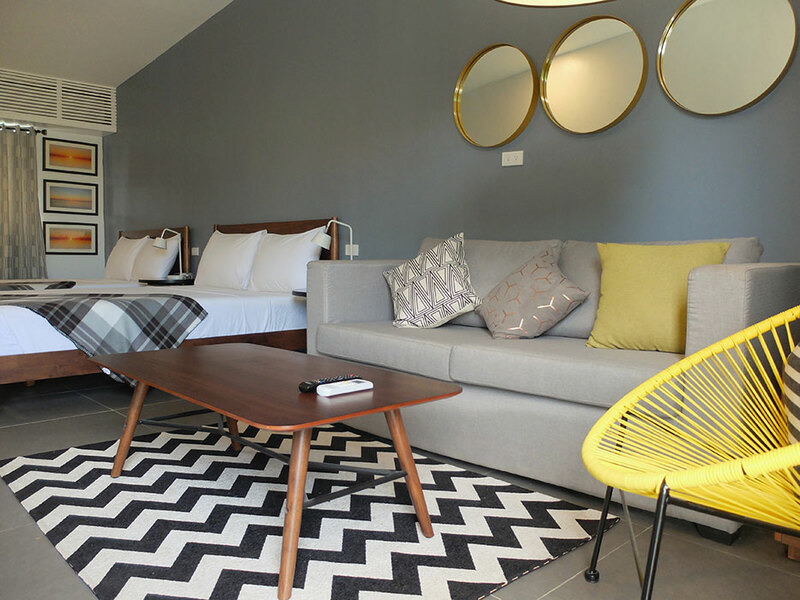 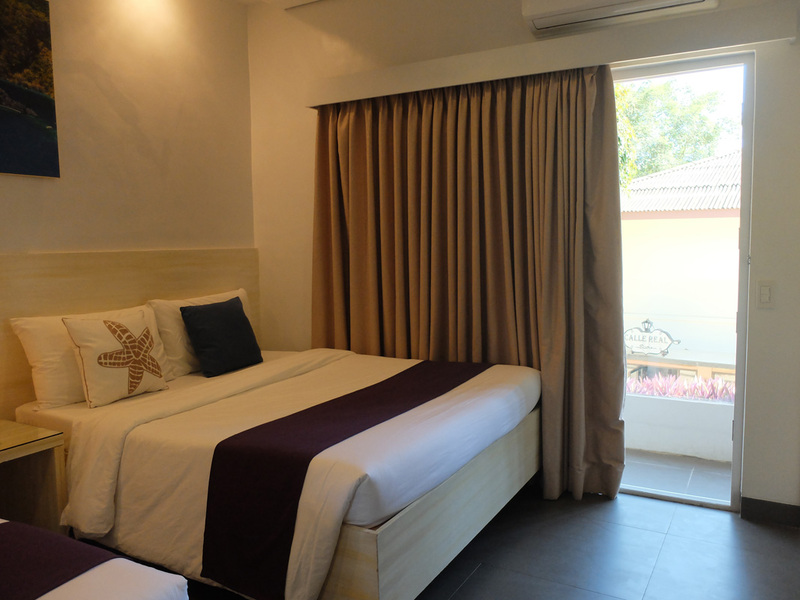 All rooms are air-conditioned, with en-suite private toilet and bath with hot and cold shower, shampoo, soap, room towels, cable TV, safety deposit box, use of the Lounge Pool, 24/7 generator back up and free-flowing coffee for the duration of one’s stay. 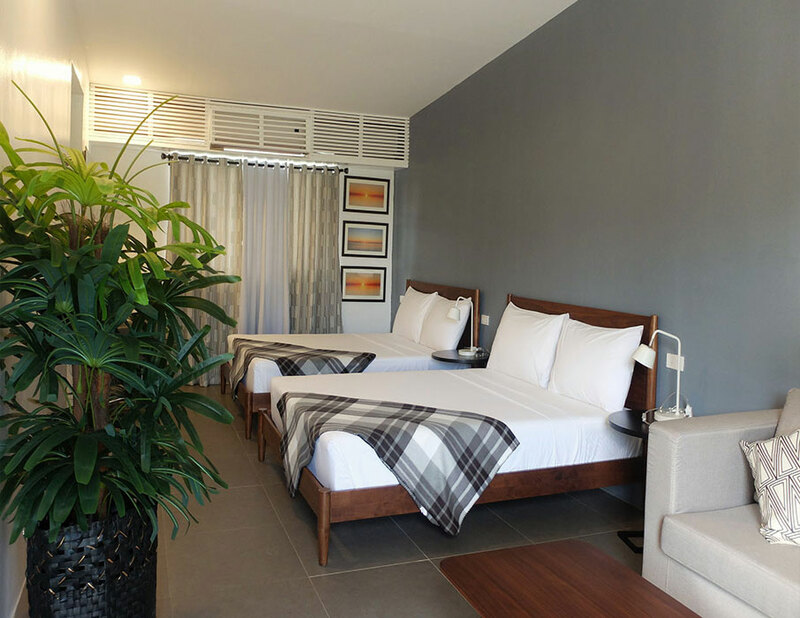 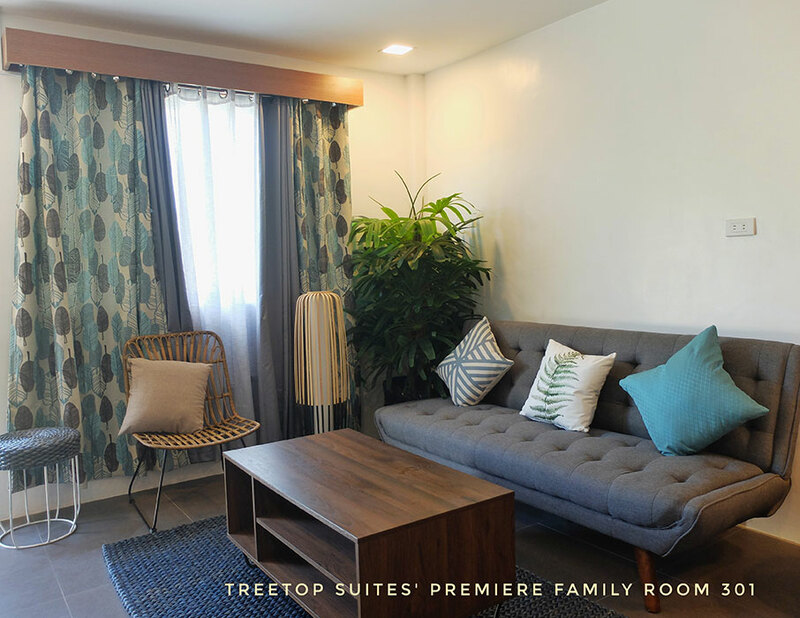 All Family rooms have their own private balconies facing Real street while the Premium Family rooms are located at the roof deck and are additionally furnished with a living area, mini refrigerator, and electric water kettle.